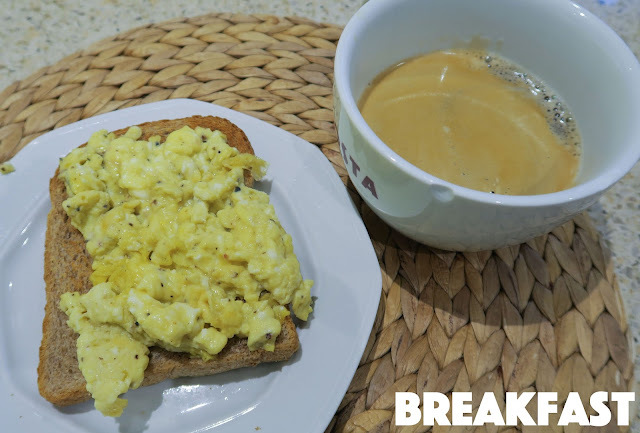 Breakfast this morning was scrambled eggs on wholemeal toast made with almond milk, salt & pepper. I also had a bottle of water and black coffee. I got my nails done in the morning and by the time I was finished I was hungry again. Thankfully I packed a snack in my bag (for once...I usually forget!) 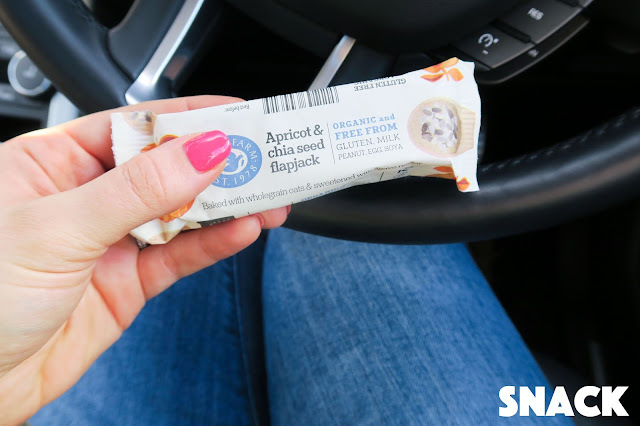 so I had this apricot & chia seed flapjack by Doves Farm. This and the apple & sultana one are my favourite flavours! 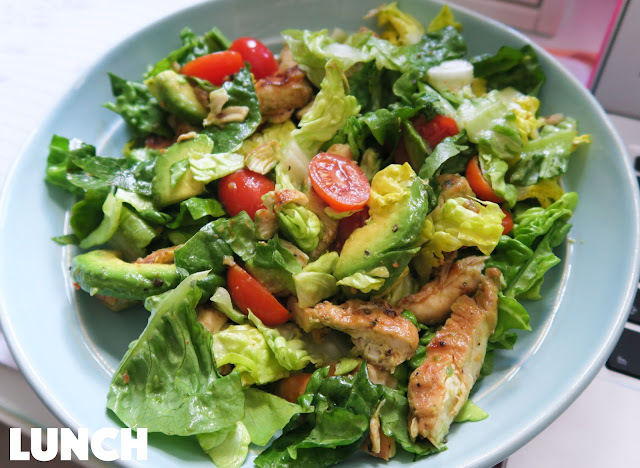 Lunch was a pretty simple but yummy salad made with chicken, avocado, cherry tomatoes, lettuce, salt pepper and olive oil. I also had another bottle of water. 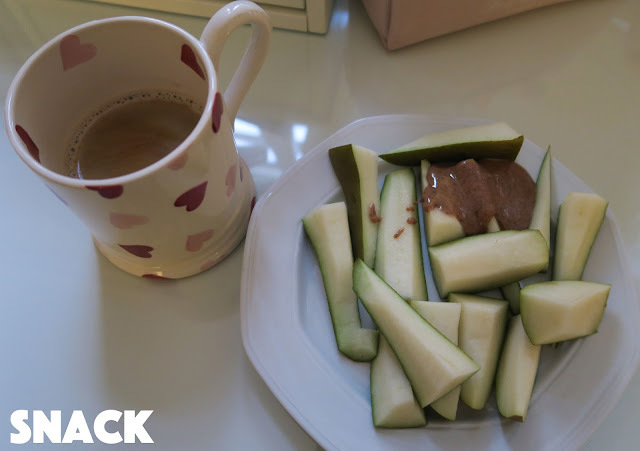 Later that afternoon I made myself a snack of chopped up pear with almond butter (such a good combo!) and a black coffee. For dinner we had one of our usual midweek meals - baked salmon with sweet potato, parsnips & carrots. These are roasted in the oven with some olive oil, salt, pepper and dried parsley. 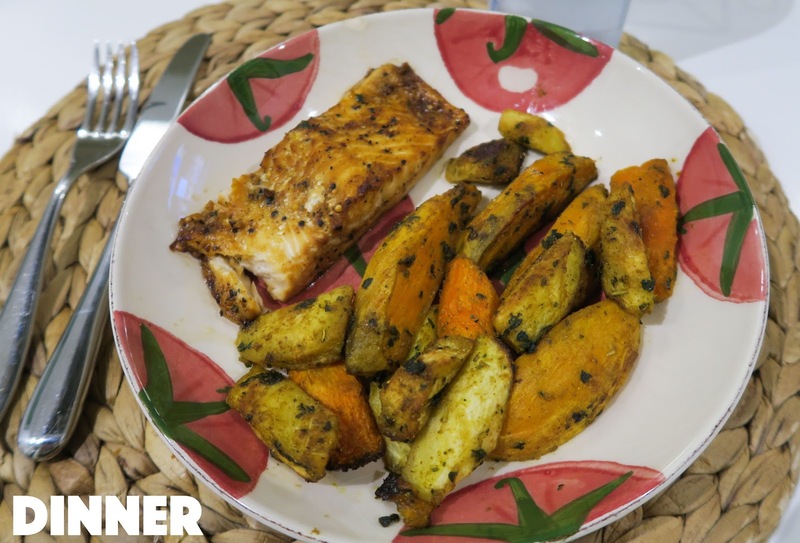 It's such an easy, healthy yet delicious meal and thankfully the kids love it too! With my dinner I also drank another bottle of water. 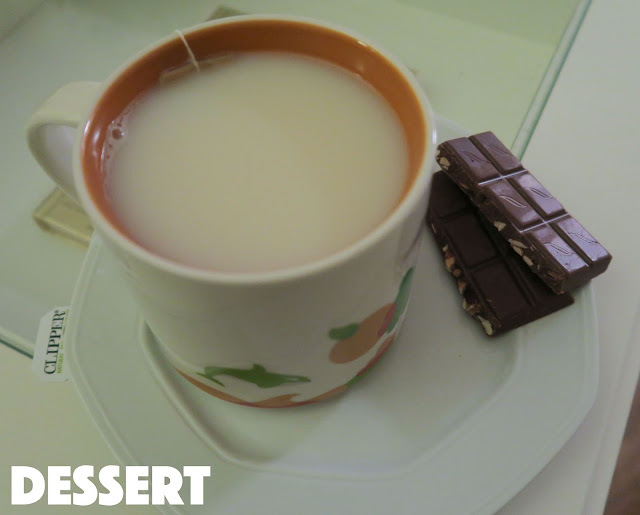 We are currently watching Frequency (just finished it last night) on Netflix so I made myself a little evening snack of an almond milk chai tea latte and some Green & Blacks almond & milk chocolate (I just realised how many almonds I consumed during this What I Ate Wednesday...hahaha! That was not intentional, but I do really like almonds!). After this I had another bottle of water, and yes that does mean I need to wake up to pee multiple times a night...so annoying! But this pregnancy is making me thirsty! Anna everything look delicious you always pick great healthy food choices, I am definitely going to check out frequency on Netflix also once again thanks for sharing this blog with us have a great rest of the week. The show is inspired by the movie! Same writer/creator. Anna, I think it would be so cool if you did a video or blog post on some of your usual dinners during the week. Your dinners always look so yummy! I'm definitely going to try this salmon dish. I love how you eat healthy even when you're pregnant! Sending lots of love to you and baby girl, can't wait to see her face! Regarding the almond milk not frothing, I just read this blogpost on what plant-based milks froth best.. It's Dutch, but it concludes that Oatly oat milk froths super well, and after that Alpro Almond milk is second best. Maybe you can try these! Anna, so happy you answered a question in your video that I was silently asking, "Why does your black coffee not look black?" In case other readers missed it, in Anna's video, she explained the coffee comes from an espresso machine that creates a froth. Anna, I would love for you to do a cooking tutorial on this awesome dinner. I love salmon but have never made it at home. I know it's probably simple, but would for you to share! Eggs on toast is my weakness! <3 Love it!